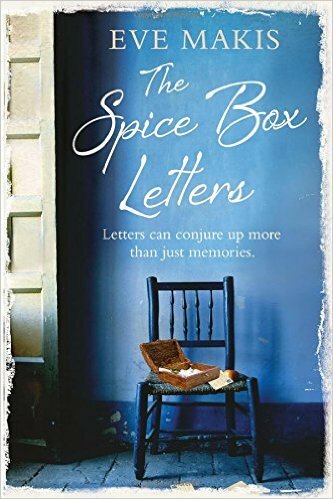 Katerina inherits a scented, wooden spice box after her grandmother Mariam dies. It contains letters and a diary, written in Armenian. As she pieces together her family story, Katerina learns that Mariam's childhood was shattered by the Armenian tragedy of 1915. Mariam was exiled from her home in Turkey and separated from her beloved brother, Gabriel, her life marred by grief and the loss of her first love. Dissatisfied and restless, Katerina tries to find resolution in her own life as she completes Mariam's story – on a journey that takes her across Cyprus and then half a world away to New York. Miracles, it seems, can happen―for those trapped by the past, and for Katerina herself. Before reading this novel, I knew very little about the Armenian tragedy. This novel brings to life the heart-wrenching horrors and sufferings that took place in Turkey against the Armenian people. Despite all the horrors of war, a poignant story emerges of a young modern day woman who discovers her grandmother's wooden treasure box and the secrets that lie inside. How can I describe the emotions I felt while reading? Heartbroken, stunned, sad, and even angry at the injustices. And this is the sign of a great book. When the reader is able to pull out and twist the reader's emotions and make them think hard upon history, this is a book worth reading! The story is built from the points of views of family members, both past and present. Interesting, poignant, and joyous - that's what this book is!